What does Whitney Houston have to do with my Easter celebration? Well, read on and find out! While watching my grandchildren hunt for Easter eggs, during the Carlson family’s annual Easter picnic, I was contemplating the loss of various family members since our last “get-together”; namely my brother Jon, nephew Ryan, and nephew Tyler. I compared their deaths to that of my father’s passing about two years ago; Duane died with his family and loved ones around him at the hospital. I vividly recall watching the tears slowly trickle down the sides of his face as his spirit left his body. In stark contrast, Jon, Ryan, and Tyler died alone without a wife, children, or loved ones at their side to mourn at the moment of their passing and I thought how sad that was. For some unknown reason and out of nowhere, I thought about Whitney Houston and how she also died alone under many of the same circumstances as my brother and nephews. I suppose I thought about her because she had provided me with many enjoyable memories as did Jon, Ryan, and Tyler. I have probably spent more time listening to her music than the time I have spent with many loved ones that have passed… sad commentary on my priorities at that point in my life as I now realize. In fact, I thought about the many friends and family members that are no longer physically “here” and the many joys and fond memories they each had given me while they were alive. These thoughts caused me to realize, with greater appreciation and understanding, how short and fragile this life is… and to treasure the memories of those individuals whom we have loved and have played a role in making our lives more enjoyable and meaningful. Also, I would be remiss since this is the time to remember and give thanks for the life and example of our Lord and Savior if I didn’t take this opportunity to thank Jesus Christ publicly for His many sacrifices for us and the gift of the atonement and resurrection he afforded us. There is not a day that goes by His life and teachings do not enter my mind or affect me in one way or another. I know He lives and loves us! In remembrance of these thoughts and reflections, I have embedded a YouTube video link to the song Didn’t We Almost Have It All performed by Whitney Houston in Saratoga Springs, New York, in the summer of 1987. I cherish this video because, in my humble opinion, this particular rendition of this song was one of the greatest musical performances of all time from one of the most preeminent singers of my day. I hope whoever views it will “feast” on it with their eyes and ears, as I do from time to time, as she shares her heart and soul with us. When love was all, we had worth giving? That world of me and you? 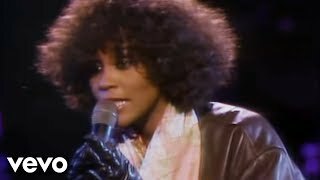 Video with the transcript – Whitney Houston – Didn’t We Almost Have It All. (2009, October 25). Retrieved March 29, 2016, from https://www.youtube.com/watch?v=i_4PlM85NJo. Whitney Houston – Didn’t We Almost Have It All Lyrics … (n.d.). Retrieved from http://www.metrolyrics.com/didnt-we-almost-have-it-all-lyrics-whitney-houston.ht. Whitney Houston - Easter 2016. "Didn't We Almost Have It All", was one of the greatest musical performances of my lifetime.